We tried to come up with some picks we thought would be good for the historical fiction reluctant out there! 1. 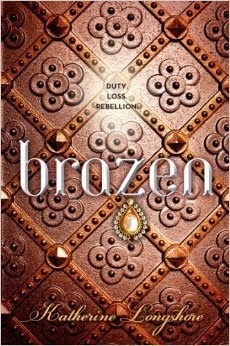 Brazen by Katherine Longshore: What I love about this book is that it's such a good introduction to historical fiction to people who think historical fiction is just going to be history class all over again. There is drama that could rival anything on TV (which a lot of it REALLY DID HAPPEN in this book) and romance and it's just a perfect mix of fun and history. I was thoroughly immersed in King Henry's court and this time period...very easy to get lost in! 2. 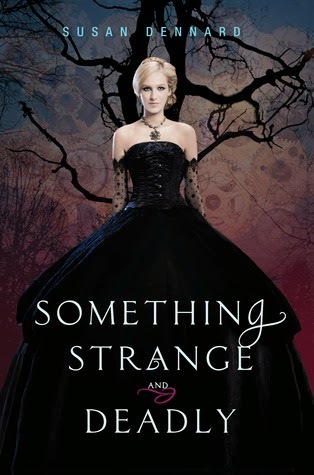 Something Strange & Deadly by Susan Dennard: This is a historical paranormal novel and, while it isn't straight historical fiction, I think it is the perfect book to get your toes wet and see how great historical settings can be if you typically read paranormal and think you'd be bored by a historical setting. 3. 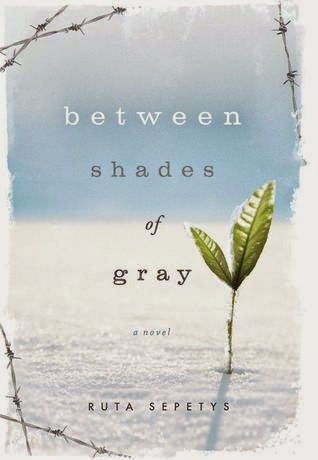 Between Shades of Gray by Ruta Sepetys: This is one of my favorite historical novels of all time. It was so heartbreaking and hard to read but I just NEEDED to hear this story. 4. 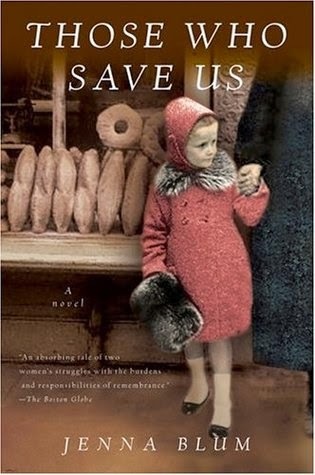 Those Who Save Us by Jenna Blum: This was such a great mother/daughter story! It's alternating between the WWII setting and the contemporary setting so it's a great way to get into historical fiction if you aren't sure of it! 6. 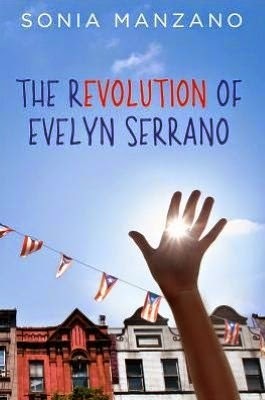 The Revolution of Evelyn Serrano by Sonia Manzano: This one takes place in the '60s, in Spanish Harlem, right around the time of a civil rights revolution in the title character's Puerto Rican neighborhood. It's simply written and a fast read, but tells a story about a piece of history rarely discussed in classrooms or pop culture. Oh, and the Sesame Street part? You might know Sonia Manzano better as Maria from that show. 7. The Soulless series by Gail Carriger: Okay, so not technically historical fiction, but this steampunk series is a way to ease into Victorian London society. Etiquette and proper behavior are extremely important in this society, but there are also vampires, werewolves, and lots of fun steam-powered technology. Plus, it's wickedly funny. And romance fans will be happy too. 8. The W.A.R.P. 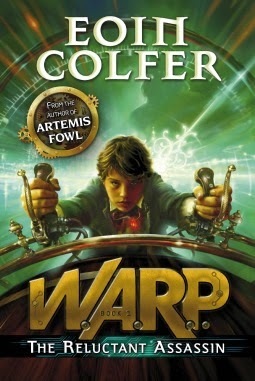 series by Eoin Colfer: The author of the Artemis Fowl series brings us another action-packed adventure series, but instead of fairies, we have time travel. Again, not technically historical fiction, but Riley is from Victorian London, and he and Chevy go back into Victorian London, so I'm going to count it anyway. 9. 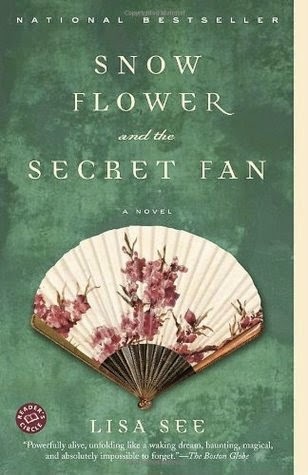 Snow Flower and the Secret Fan by Lisa See: I had this on my to read list for years and years before I picked it up at a going out of business sale for Borders (the pain is still raw). This book was great! I was transported back to not that too far gone China, into the lives of two best friends as they grew from girls to women. It's a wonderful look at Chinese culture especially surrounding women while also being the heart-wrenching story of just two friends. 10. 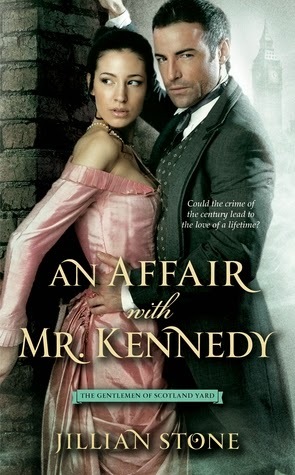 An Affair with Mr Kennedy by Jillian Stone: First off, no not that Mr. Kennedy. This is set in Victorian London among the middle working class. It stars a man from the newishly formed Scotland Yard and a lady who is looking for adventure. I call this romance out of the many I've read because I distinctly remember taking notes the whole first chapter on things I wanted to look up for historical accuracy, and I was pretty much wrong about all the things I had question. Ms Stone did her due diligence. This is a mystery romance with a balance between both, but I thought the historical setting really transported me there, too. Which books would you recommend to historical fiction newbies? Historical is my genre, so it's pretty hard for me to put myself in the shoes of someone who hates history and thinks it's boring and stupid. However, one of the books on my list this week is Hermann Hesse's Narcissus and Goldmund. It's more literary than historical fiction, but it's set in Medieval Germany, and doesn't have the grand, sweeping scope of many other traditional historicals. 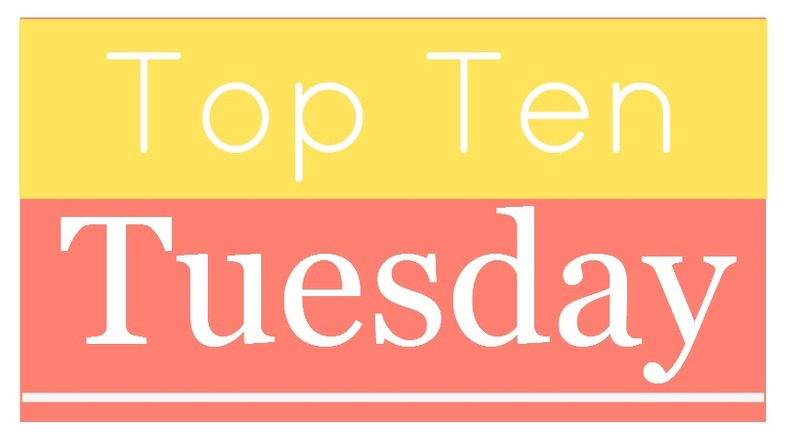 I was thinking about doing my list about historical fiction, but went with YA instead. I can't wait to pick up some of these books! I don't normally read a lot of historical fiction, but I keep wanting to. I'm not really sure what has held me back because I love epic fantasy series like Lord of the Rings and A Song of Ice and Fire (obviously not historical, but they can definitely read like history books at times). I guess I just don't know where to start with historical fiction so those four recommendations are great. I even own Those Who Saved Us already so I may need to move it up the TBR pile. Great picks. I don't know many of these. I loved Snow Flower and the Secret Fan!! Got to share this one....It's a fabulous historical fiction book: The World is Not Enough by Zoe Oldenbourg! The book `Those Who Save Us` looks good. I've only read one historical fiction series, but it is my favorite book of all time. The Bronze Horseman series by Paullina Simons is an epic love story set in WWII Russia. I have that on my tbr so i am glad it is a good one! I love Soulless. It is an awesome book and a great example of a wonderful blending of various genres. I'm planning on reading W.A.R.P. and now you've gotten me even more interested in it. I also picked Historical Fiction and I broke my list up in a similar way. I think there are so many great Historical Fantasies and Historical Mysteries out there that it's a great way to try the genre out but stay in a place where you're comfortable. Great list, there are even a few new ones to me. I've seen Between Shades of Gray a lot lately. Might need to pick that one up soon! Between Shades of Gray is such an important book that is completely underrated. Thanks for highlighting it! Between Shades of Gray is such an incredible and emotional read. That one is one of my top favorites! So many good lists today. Lots of additions to my TBR! I love "Between Shades of Gray"!!! Such a fantastic novel! I would recommend "The Book of Negroes" by Lawrence Hill (titled "Someone Knows My Name" in the US) or "The Midnight Rose" by Lucinda Riley. I'm participating in my TTT this week! Here's my list of 10 CanLit books. I love historical fiction - how is it that I haven't read a single book on this list?! I really need to get to Between Shades of Grey. It has been sitting on my shelf too long! Thanks for the other suggestions. I haven't read any of them. I guess I need to bump up my historical fiction reading. I really like this list. I need to check some of these out. I'm really picky about my historical fiction, but a few of these really caught my eye! I'd definitely recommend Michelle Moran's Ancient Egyptian novels, starting with Nefertiti. So many people are fascinated with Ancient Egypt, and Moran's writing is exciting and beautiful and so well researched that, as with all good historical fiction, it closes the gap between you and that time period so that you can almost feel the sun on your back as you're reading. Nerfertiti is about the rise of Akhenaten and his doomed city of Amarna, as seen through the eyes of Nefertiti's sister; later novels follow other major figures in Ancient Egyptian history. THEY'RE SO GOOD! 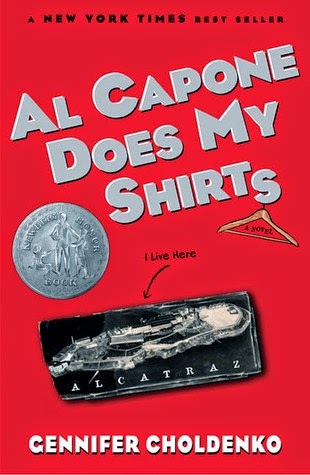 Al Capone does my shirts was pretty cool...although the history element in it isn't that strong. Great list, although London which is in England is in Europe. Sorry my mistake, read your headlines incorrectly.